Is a Flame Retardant Tape really that much different? What happens when you place a 3 M-8979 tape next to a Polyken 225 FR tape and add a 2000 degree flame to each? 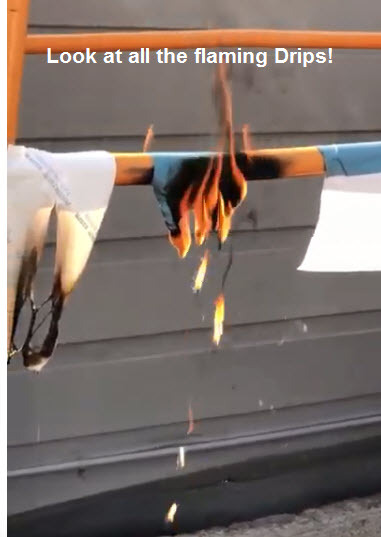 This is a compelling example of why anyone who is using flame retardant film should use its partner fire retardant tape. Please watch the quick 2 minute video and judge for yourself. Mobile callers, please click during business hours PST 8:00- 5:00 PM. Thank you. Visit the FR Tape page here. Non-Flame retardant tape adds to the fire!